The students attentively listened and asked questions about how members of different cultures persevere in the face of discrimination and oppression. After the read aloud, students had the opportunity to write their own stories of a time they helped somebody or sparked change in their community. 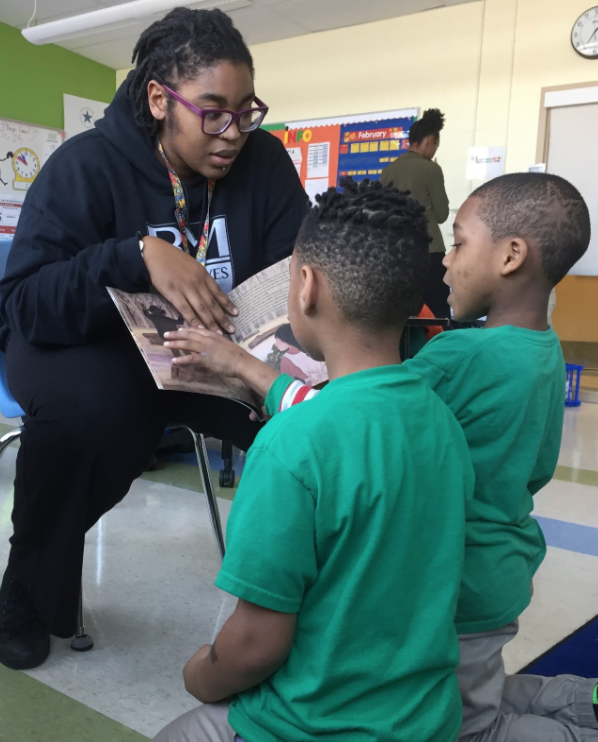 Through addressing Black Lives Matter in the classroom, Jay has learned that the students have so much to say and giving them the opportunity to discuss these critical topics invigorates them and helps them develop into well-rounded people. Jay chooses to be a part of this movement to help students recognize their agency and help them understand they can make a change, even as a young person. Jay believes that engaging students in conversations about Black Lives Matter builds empathy and shows each student that “no matter how they identify, they are included.” Read more.